In 2008 at the Berlin International Film Festival, a Brazilian movie that depicted the work of Rio de Janeiro’s special police force BOPE won the prestigious golden bear award for best film. The police unit, which often shows up in Human Rights Watch reports and is considered one of the toughest and most professional urban warfare units in the world is the spearhead of the crime-ridden city’s law enforcement policy and has a reputation of being comparatively non-corrupt. 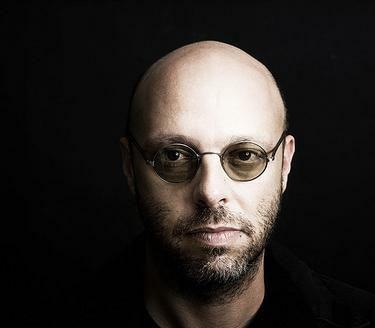 Jose Padilha, the director, originally wanted to turn fact accounts from the book of the similar name into a documentary but they changed course and subsequently made one of the most successful Brazilian movies ever. In 2007, footage of Tropa de Elite got leaked and pirated, which however made the movie all the more famous. It is a compelling story of the Brazilian boom city’s social tensions, and the horrendous violence perpetrate on both sides of the law. It is a shocking movie, shot with an eye for detail and a convincing cast. The movie keeps its documentary-style feel and the grittiness of a front-line report. The movie will not only satisfy those hungry to see a realistic action movie about special forces, or those wanting to see top of the line Brazilian cinema, a glimps of this great country’s life on the big screen, but also those looking for an on-the-edge-of-your-seat social drama – with a great soundtrack to boot. Three years later, it is Berlinale time again here in frosty Berlin. I have secured tickets to watch the sequel to Tropa de Elite, which is titled Tropa de Elite 2: O Inimigo Agora é Outro (the English title is: Elite Squad 2 – The Enemy Within). The much anticipated second part had to live up to high expectations and promised to be a lot more controversial – and with a bigger budget. It is not easy to make movies in Brazil I was told, that is why the opening credits are preceded by a whole series of logos, the movie however is already the highest grossing Brazilian movie in Brazil to date. But let me cut to the chase. Tropa de Elite 2 takes place today, and Nascimento has lost both his wife and custody of his son. War is a drug, he says, so he went back to his old job, commanding a BOPE squad led by Andre, as ranking Lieutentant. When a riot in Rio’s maximum security prison Bangu 1 breaks out, his squad is at the helm and Andre’s men are facing an armed gang bound to slaughter the rest of the (rival) inmates. A law professor and human rights activist the gang leader (played by Brazilian musician Seu Jorge) trusts is called in to defuse the situation, but Andre does what he was told in BOPE boot camp, and all hell breaks lose, with BOPE walking out having massacred the rioters. The city has a scandal on its hands, with the human rights activist publicly denouncing Nascimento, Andre and BOPE, the blunt weapon of the governor. Nascimento however is at the same time called a hero by the conservative electorate, and the governor promotes him to deputy secretary of public security, while Andre has to bite the bullet and gets demoted. Rio politics, fired up by the conservative media, lets Nascimento lose, and he uses BOPE to clean up slum after slum. But the vacuum left by the drug cartels is quickly filled by corrupt police militias, who won’t be as easily driven back as the drug dealers. The human rights activist seizes the wave of sympathy and runs for the local parliament…. Nascimento is confronted with a dilemma. The net of corruption, and BOPE’s role in the corrupt schemes of the politicians and police chiefs are about to be uncovered with the help of the parliamentarian, an integral crusader almost, and a courageous journalist…. Nascimento is right on the front line – and in the line of fire…. Where Elite Squad was something of an introduction to the world of favelas and BOPE, Tropa de Elite 2 is an advanced study of the country’s complex crime problem. Brazil, which is one of the world’s fastest growing economies and Latin America’s economic and political powerhouse, has a huge inequality problem, which is on heavy display in a metropolis like Rio de Janeiro, where beautiful and expensive beach penthouses can be seen before a panorama of slum dwellings on the surrounding hills. That stark contrast fires social conflict. BOPE is right in the middle. The news reports of Rio police backed by federal military forces invading some of the most famous slums of Rio only this last fall illustrate, how “real” this movie is, despite its fictional nature. The political subtones of this sequel and the quite open criticism of the roots of the problems, make it an especially controversial movie that is sure to have an enormous impact considering its huge success. I was enormously entertained by the film, which offers a number of climaxes and had me sweating in my seat. A movie that is as intense as it gets, without laying it on too thickly. A smart, brutal, beautiful tour de force, a brilliant showcase of Brazilian cinema and an action-packed crime adventure which I hope will win over audiences around the world – the pounding gun fights will stick with you.